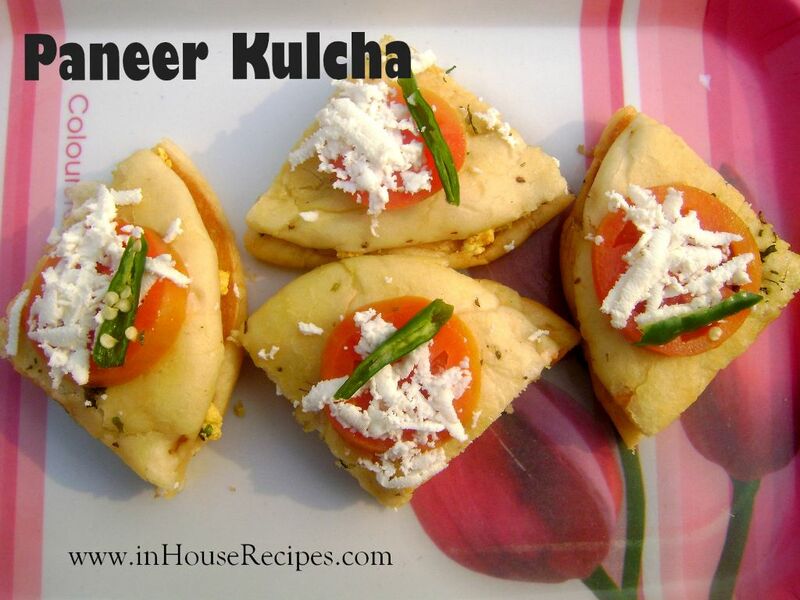 Paneer kulcha is a famous North Indian snack served in schools and colleges. Sandwich Paneer Bhurji between Maida bread, light tawa fry and serve. Paneer Kulcha might sound like a Paneer paratha with a stuffing of Paneer right inside the paratha while roasting but this is something different and pretty unique to Delhi style. The stuffed Paneer Kulcha in Delhi is made with a ready-made plain Kulcha and then stuffing the Paneer Bhurji inside the two Kulcha layers to form a sandwich. 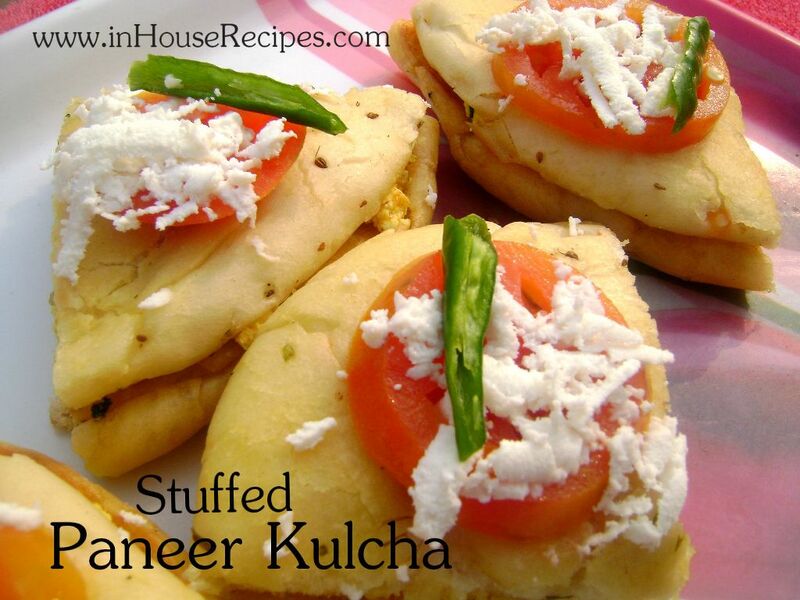 Interestingly, it is commonly known as Paneer Kulcha rather than a Sandwich. Here is the recipe if you want to give it a try. Chop Onion and Green Chili into fine small pieces. Mash Paneer in a plate. Take a pan, add pure desi ghee and heat it on high flame. You can substitute Desi ghee with a your choice of Oil. Once ghee melts, turn the stove on medium flame. Add Onion. Don’t wait for Onion to turn pink. Add Green chili and mix well. Add Garam masala, Red chili powder, Turmeric and Salt. Mix well.Add Garam masala, Red chili powder, Turmeric and Salt. Mix well. Paneer Bhurji is ready. Add Coriander leaves and mix well. Switch off the stove. Take another pan, add butter and heat it to melt the butter. Take a Kulcha and roast it from both sides in this butter. Cook it on medium flame. Once Kulcha absorbs the butter and turns light golden brown, it is ready. Similarly, Cook other Kulchas too. 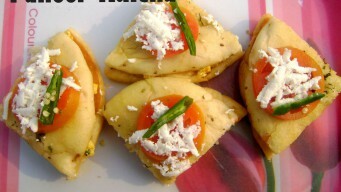 Spread Paneer bhruji made above on one side and cover it with another Kulcha to make a sandwich. 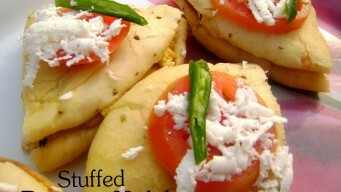 Stuffed Paneer Kulcha is ready to enjoy. Slice it into pieces and then divide among friends. Did you know that the Chole from Chole Kulche is made with Dry Peas (sookhi matar)? You can create the same street side chole kulche taste at home with our tried and tested recipe.